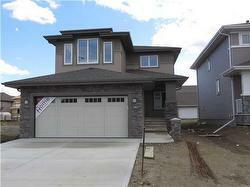 Beautiful brand new Montorio built home in the new community of Trumpeter at Big Lake. 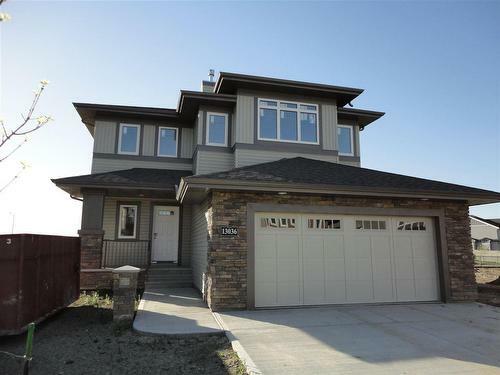 This 2156 sq ft two storey home offers open concept main floor with gleaming hardwood in the great room with gas fireplace and large windows to allow lots of natural light. Beautiful kitchen has granite counters with huge island and ample maple cabinets. Formal dining room with hardwood flooring and large breakfast nook. Upper lever has a large bonus room and convenient upper laundry. 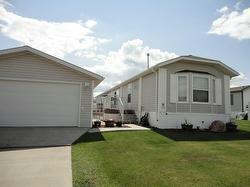 Master is spacious with a fantastic 5 piece ensuite with double sinks and double shower. Additional 2 bedrooms round out this level. Double garage is drywalled. Basement is open and ready for development. This community is close to golf courses and Louis Hole Provincial Park. Seller will landscape. Trade-in welcome. Ideal apartment condo site 14,000 SQ. FT. zoned RA7 could accommodate up to 16 units + with current zoning, 2 older homes currently rented with long term tenants. 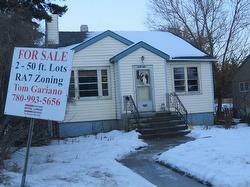 Close to Westmount Shopping, Schools, Bus at front and easy access to downtown MUST BE SOLD WITH 11045 130 ST. This fully upgraded well maintained 1072 sqft 3 bedroom 2 bathroom home with A/C, is located in a great family orientated community. Master bedroom has a 4 piece ensuite with soaker tub and a walk in closet. Floor plan with larger bedrooms, bright and open kitchen and dining area, and a spacious living room. Also features a beautifully landscaped and fenced yard, large deck with composite deck boards, shed and an oversized double garage. Fantastic opportunity, at an affordable price.